This salsa is a hot-level heat that will awaken your taste buds. 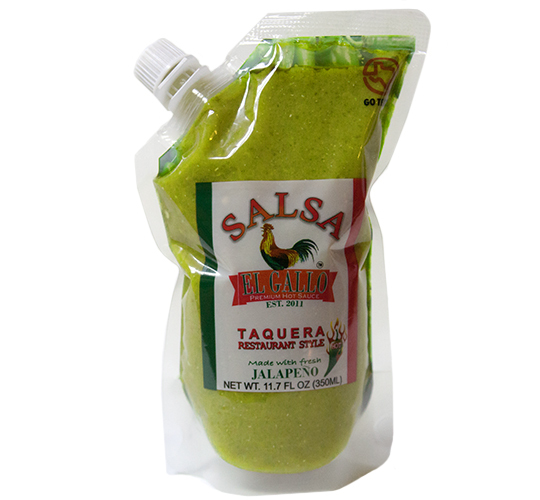 This salsa pours out smoothly to your meal and enhances it with loads of flavor. The Green Jalapeño Restaurant Style Salsa is a favorite to add to fajita or chicken tacos. You’ll soon find out, you’ve got to have it! Ingredients: Jalapeño, canola oil, garlic, salt.